There’s now more than one way to learn about the places that make up the South. This Is My South is now a book! You may think you know the South for its food, its people, its past, and its stories, but if there’s one thing that’s certain, it’s that the region tells far more than one tale. It is ever-evolving, open to interpretation, steeped in history and tradition, yet defined differently based on who you ask. 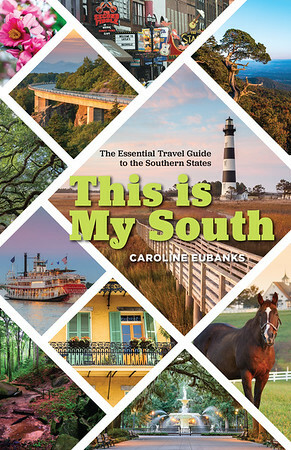 This Is My South inspires the reader to explore the Southern States––Georgia, Kentucky, Louisiana, Mississippi, North Carolina, South Carolina, Tennessee, Virginia––like never before. No other guide pulls together these states into one book in quite this way with a fresh perspective on can’t-miss landmarks, off the beaten path gems, tours for every interest, unique places to sleep, and classic restaurants. So come see for yourself and create your own experiences along the way!